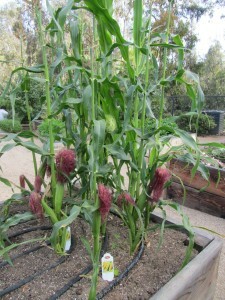 I met Randy Ritchie, founder of Malibu Compost, at Green Gardens Nursery in Pacific Beach. I was so impressed by what I heard about his product that I did some experiments. I planted vegetables in 2 beds, one with Bu’s Blend and one without. The bed with the Bu’s blend did significantly better. I was hooked for life. 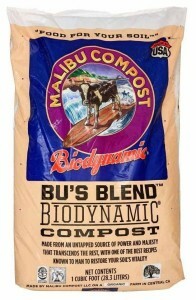 Malibu Compost is the first national producer and distributor of biodynamic compost. It is blended from dairy cow manure, manger straw, wood chips and homeopathic concentrations of yarrow, chamomile, valerian, stinging nettle, dandelion, and oak bark, plus a healthy dose of cosmos. It is then laid out in windrows to mature. For good soil & seasonal care: Spread ½” to 1” of Bu’s Blend over planting area (for edibles and grass), watering well (for roses and other bushes), or drip line (for larger trees). Water in and let the microbes do the work. Repeat every 3-4 months. For new plantings: Spread ½” to 1” of compost over the planting area, water deeply, and let the area rest for a couple days up to a few months, if possible. If not, it’s cool, go for it. Plant whatever you’re planting. Put a nice handful or two of Bu’s Blend in the bottom of your planting hole. Then, broadcast another ½” of Bu’s Blend over the newly planted area. Sit back and watch the magic. If you have not added it to the soil at planting, it is not too late. 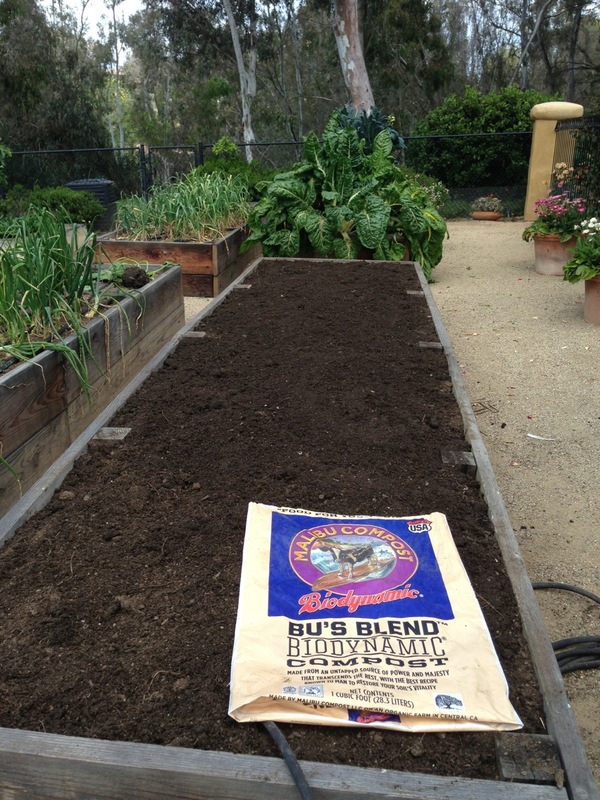 You can use it as a cover mulch: Spread 1-1½” of Bu’s Blend over your beds, pots and planters. Do not work into the soil. We repeat, do not work the soil. Let the irrigation or rain work the compost into the soil. The Biodynamic method incorporates the treatment of animals, crops, and soil as a single system. The wastes of one part of a farm become the food for another. Ideally a biodynamic farm would import little to nothing from outside sources. The goal would be to contribute to the earth’s resources, not deplete them.